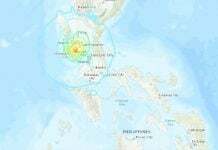 A 2.2-magnitude earthquake was reported on February 7, 2018. 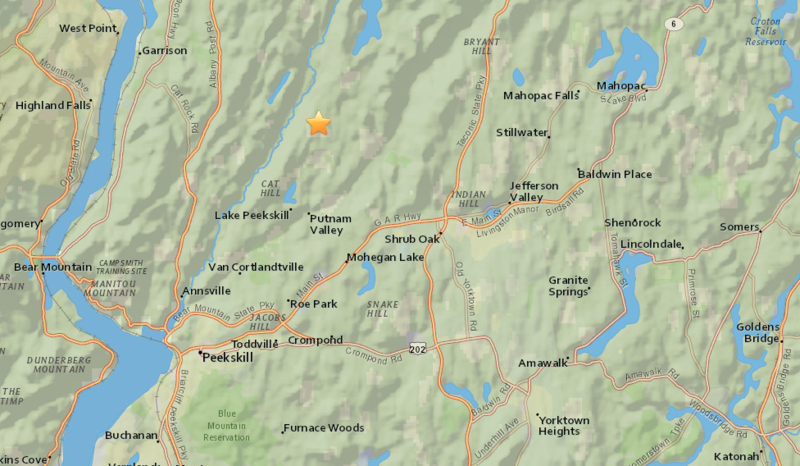 And many residents of Putnam and northern Westchester counties woke up with a bang produced by the minor quake that hit three miles northwest of Mohegan Lake in Yorktown, Putnam Valley. People throughout the area posted on social media about feeling the quake, including residents of Chappaqua, Cortlandt, Lewisboro, Mahopac and Putnam Valley, and even Monroe in Orange County. Two very small aftershocks — both registering 1.3-magnitude — followed the main earthquake. 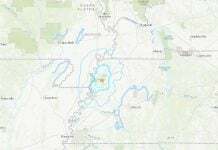 The first aftershock appeared around 6:16 a.m. and the second around 8:40 a.m.
M2.2 magnitude earthquake on Wednesday, Feb. 7, 2018, loud boom rattles northern New York counties. Erik Contzius said he felt the earthquake at his home in Peekskill. He first thought it was a snowplow, but then his entire house started shaking. And there was a little bit of relief when it was confirmed to be an earthquake. @USGS earthquake this morning in the Northeast? Loud boom and rumbling! 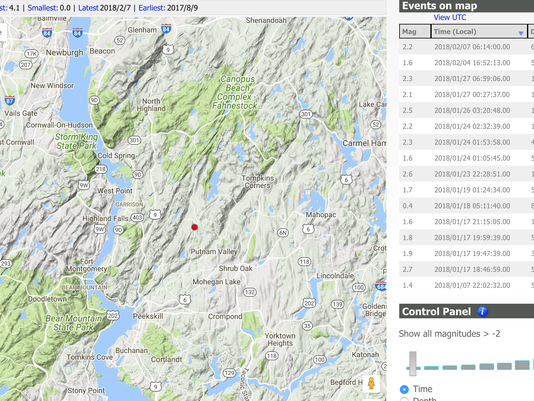 @chappaqua @earthquake Strange doings this morning. Earthquake around 6:15am. Could hear it AND feel it. It was a small earthquake, the type that hits this area every two to three years. The last earthquake that measured this strong around here was in 2014, when a 2.5-magnitude quake hit near Peekskill. People don’t usually feel smaller quakes in this region, but plenty of people were shaken by this one. According to Facebook comments, the tremor “sounded like very loud thunder and heard things in the house rattling like change on the dresser and the doors rattling,“, and houses rumbled: “My entire house shook and rattled here in Cortlandt Manor/Garrison.“. 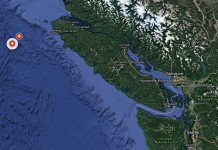 The main quake was followed by two very small aftershocks — both registering 1.3-magnitude. Right around there, there is “Donald J. Trump State Park”. There is always reptilian secret underground bases in or around national parks, state parks, county parks, and city parks. It is well known that many people are missing in national parks in US. If you do google search “missing people in national parks”, many articles will appear include “1600 people went missing in public land”. Some courageous park rangers disclosed and admitted that actually so many people are missing every year in national parks. Of course, those abducted young people and children might be eaten by cannibalistic reptilians in secret underground bases under those parks. This quake was caused by attack from Galactic Federation of Light. I hope their underground bases had been collapsed. Note that many parks are actually militarized with a watch tower, shooting range, and even bombing range. Ocala National Forest in Florida has a watch tower, shooting range, and US Navy bombing range.